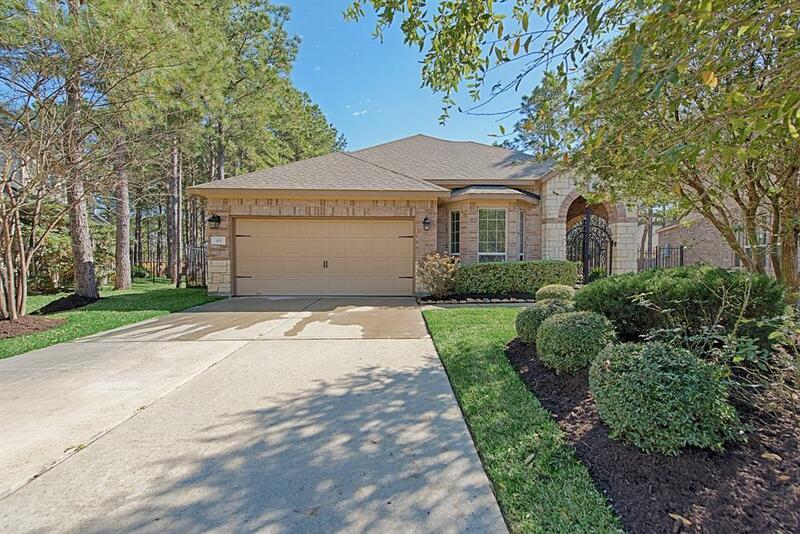 Well appointed and highly upgraded brick w/stone accent one story 4 bedroom/3 bath split floor plan conveniently located in Creekside Park in The Woodlands. 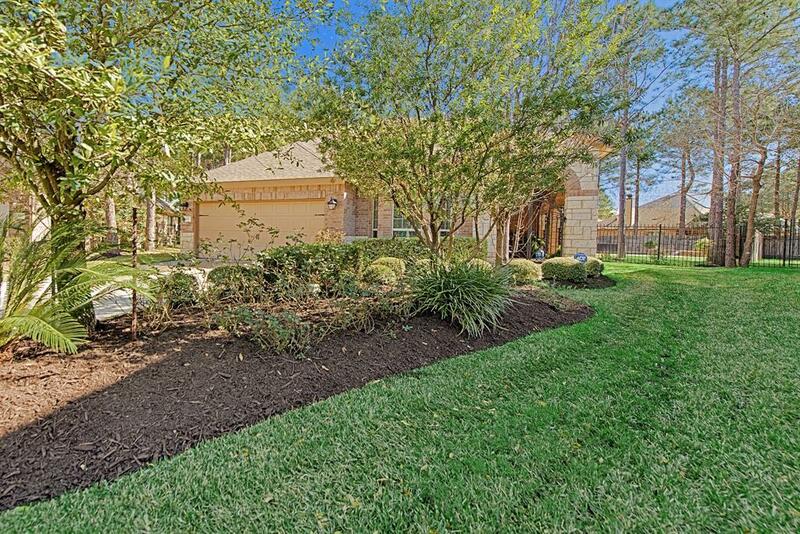 Situated on an over sized cul de sac lot w/resort like pool and custom covered patio. Yard has full irrigation system. 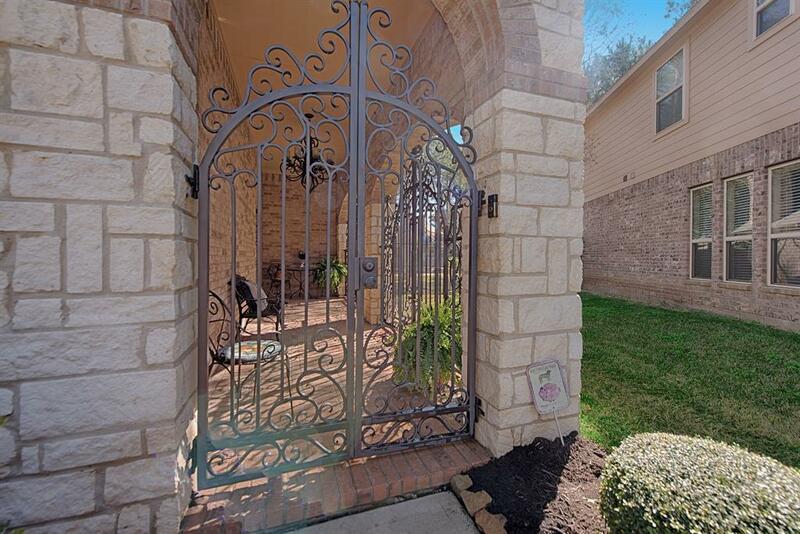 Front entry has custom wrought iron gates & arch enclosures creating a more private & secure entrance. Living room has custom windows & dual glass doors leading to the back patio & pool. Kitchen boasts granite counter tops, island w/ under mount sink, stainless steel appliances and loads of storage. Study has French doors. Large master bedroom has an executive bath w/dual vanities, separate shower/tub, and closet organizer. Kitchen cabinets refreshed & interior painted 12/18. Recently installed generator. 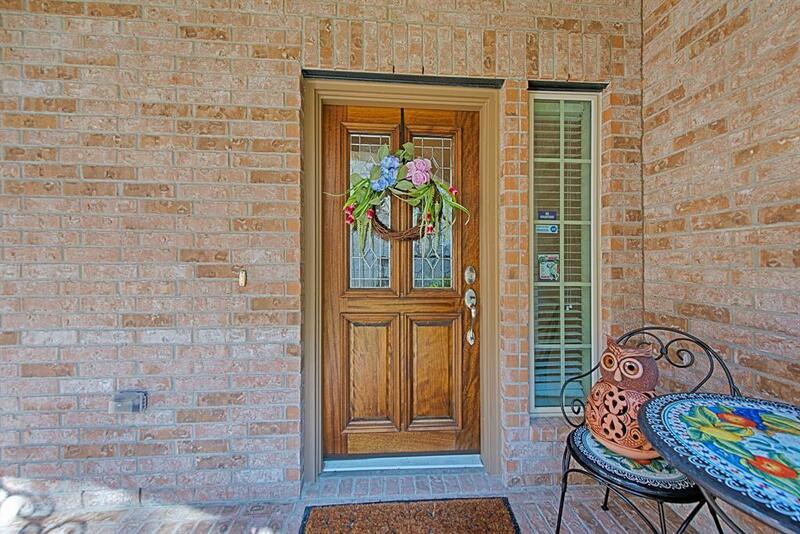 Close to everything fabulous about Creekside including upscale shopping and multiple restaurants. Easy access to town center, ExxonMobil, and I-45. Zoned to highly desired Timber Creek Elementary.